Lee DeWyze, last year's American Idol winner has grown on me a lot recently. While I never really DIS-LIKED him per say, Crystal Bowersoxx got my votes just because I liked her voice better. 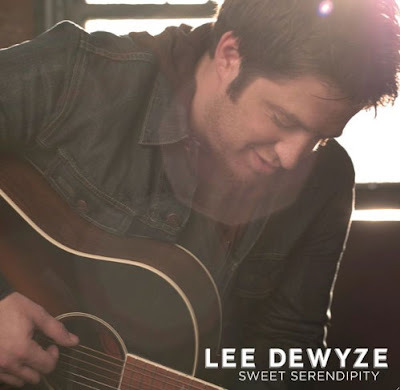 All things aside, I gotta say that I'm impressed with DeWyze's first album single, "Sweet Serendipity." The song, which premiered on the On Air With Ryan Seacrest show in mid October, was co-written by DeWyze and produced by David Glass. A self-taught singer, songwriter and guitarist, DeWyze hails from the Chicago suburbs and counts Ray LaMontagne, Cat Stevens and Kris Kristofferson among his inspirations. Now knowing that DeWyze taught himself how to sing, write music and play guitar is made all the more impressive knowing that he co-wrote all but one of the 11-tracks on the album, including his debut single, making him the first Idol winner to have writing credit on a first single. AMAZING accomplishment. "To see my name listed in the credits on each song was really important to me because I'm a songwriter," says the 24-year old. "I also loved working with such talented writers. They all brought so much to the table and helped me flesh out my sound...I want people to relate to these songs." 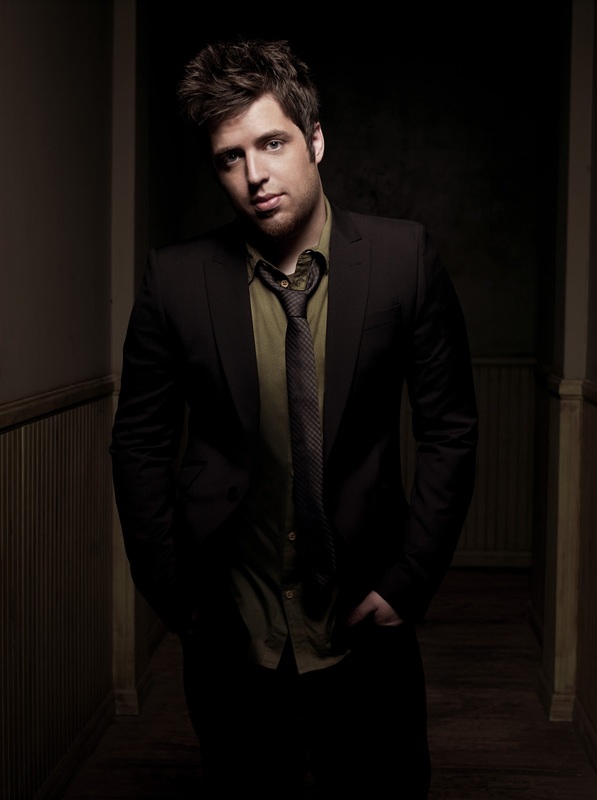 Speaking of "talented writers," DeWyze had the chance to collaborate with some of the best in the business right now, including Toby Gad (Alicia Keys, Fergie), John Shanks (Bon Jovi, Sheryl Crow), David Hodges (Kelly Clarkson, Weezer) and the Norwegian production team known as Espionage (Beyonce, Train). That's a pretty sick lineup for a first timer, just going to show that the Idol machine really does give an artist the tools he or she needs to make a hit record. The first single, "Sweet Serendipity" really does set a nice tone for the album. It's up-tempo, it's breezy, cheerful and fun. The last thing we need is some melodramatic, dramatic rock-ballad. I also gotta say how happy I am that Idol has ditched that awful songwriting contest. No more sappy, "I can't believe I made it this far," "I'm so lucky" songs. Leave the songwriting to the professionals. We don't need 10 versions of "A Moment Like This." The melody really suits DeWyze's soulful rock rasp perfectly. The forthcoming album, Live It Up, (November 16th) explores love, regret and passion. "I love stories in songs and always try to write from an honest place. It's about capturing emotion, so that when you listen, it takes you back to that place. My best memories are all connected to music and I want to create those moments for other people." While I'm still anxiously awaiting new music from Crystal Bowersoxx, Lee DeWyze's first single has now whetted my appetite for more of that "soulful, rough-edged" voice that America fell in love with earlier this year on American Idol. Check out the album tracklisting below and download his debut single on iTunes now. Oh Olly Olly Olly. You really can do no wrong in my book. I absolutely LOVED Olly Murs' first single "Please Don't Let Me Go." It was sweet, catchy and the video was absolutely adorable. That song also gave us a good feel for the kind of sound Murs' was going for on his debut album, due out November 29th. Murs' sound is a little bit pop, a little bit R&B, a little bit retro. His voice reminds me very much of Will Young, and while that's not a bad thing, his songs are beginning to sound like Will Young songs. Sure, he's his own artist. The musical style is different but the delivery is very reminiscent of the Pop Idol winner's vocal delivery. No matter. Second single, "Thinking Of Me" follows suit, in terms of overall feel and sound. Due November 22nd, "Thinking Of Me" was co-written by Murs, Steve Robson and Wayne Hector and co-produced by Robson and Future Cut. What could have made this single better for me is if Professor Green would have made an appearance, as originally planned. Unfortunately that never happened, so Murs is left to fend for himself. The video clip is cute as ever, featuring Olly falling asleep in his Ice Cream truck and daydreaming about pretty girls. These two singles have me hopeful for the album and while I sincerely hope that the ENTIRE album doesn't have this same laid back islandy vibe...I'd love it all the same no matter what. When it comes to Olly Murs, I'm pretty easy to please. It should've come as NO SURPRISE when Willow Smith bust out onto the music scene with her single "Whip My Hair," that the 9 year old has talent. I mean look at her parents? Hello! Will Smith + Jada Pinkett-Smith (not to mention older brother Jaden). Of course Willow was going to be talented. It just had to be. After appearances in I Am Legend and Kit Kittredge: An American Girl, it looked as if Willow would be headed in the same career direction as her parents and older brother. Not so, apparently. Perhaps taking after her father, whose musical career spanned from the mid 80s all the way to 2005, Willow dropped a single. Whatever prompted Willow Smith to record this AMAZING little song, I'm glad she did. It's just so damn catchy! I haven't had hair in 5 years but I'm whippin' it back and forth all the same! What REALLY makes this song for me is the AMAZING Ray Kay-directed video. One can't help but think about Willow's age while watching/listening to this song. 9 freakin' years old? Sure, the video is a little provocative in that regard. Smith isn't really wearing anything TOO too risque, although she is wearing A LOT of makeup...more makeup than any 9 year old NOT part of the pageant circuit should be wearing. The song features Smith in a futuristic cafeteria of some kind, making an entrance with a CRAZY tall hairpiece and a boom-box filled with paint. She lets her hair down, dips her braids into the paint and THEN the party begins. I'll just tell you this much...she whips her hair back and forth. Cool visuals and impressive choreography NOT to mention a catchy song ALL help make the "Whip My Hair" video an instant classic. The song was released to radio on October 12th and was made available for downloads on October 26th. "Whip My Hair" debuted on the Billboard Hot 100 at #78, and has peaked so far at #12 on the Billboard Hot R&B/Hip-Hop Songs chart. The song was co-written by Smith herself alongside Jukebox, who also served as producer. Smith signed to Jay-Z's Columbia Records imprint, Roc Nation and will be releasing her debut album next year. 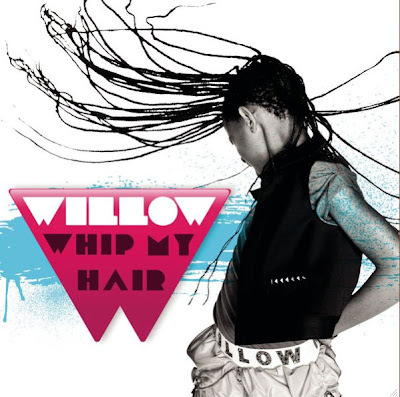 Get "Whip My Hair" now on iTunes. This girl is destined to be a star. Ivri Lider is someone I feel like I should already know about. The handsome Israeli singer/songwriter is one of the largest-selling pop/rock artists in his native country, selling over a quarter million records since he first splashed into the spotlight back in 1997. With a recent MTV European Music Award nomination now under his belt (he was nominated for Best Israeli Act) I have a feeling that the rest of the world will soon know his name. Lider recently completed his first ALL ENGLISH album called Fly/Forget, which was recorded in London town last year and produced by Andy Green, who's worked with the likes of Lou Reed, KT Tunstall and Snow Patrol. "Fly/Forget brings together the numerous styles that Lider has deftly exhibited in the past, bridging his love of electronic music with warmer, acoustic tracks and classic rootsy pop." While this may seem like TOO MANY different sounds for one single album, Lider explains "I get a little bored when an album only has one style." He does have a point. For the listener, it's nice to break up the listening experience. Different styles, different tempos...it helps create a nice flow. The openly gay artist uses music as a means to get his point of view across and runs the whole emotional gamut, from love and sorrow to regret and hope. The track "The Man I Love" was featured prominently in the 2006 movie The Bubble, a gay love story between an Israeli and a Palestinian. "Ivri makes no attempt to disguise who and why some of his songs were made - the longing and love for another man - yet with the beauty, sincerity, simplicity and sheer standard of his music and songwriting skills, the listener quickly forgets about sexual preferences and is reminded of the simple love and longing we all have for others, regardless of gender, age or creed." I'm intrigued by the 36 year old singer/songwriter and it seems like the rest of the world is becoming intrigued as well. Lider recently appeared at CMJ, performing a couple of showcases, including the High Rise/PopJustice showcase with Natalia Kills. Check out the music videos for "The Man I Love" and "Jesse" below. I expect big things from Lider. What a talent. This guy is definitely someone to have on your radar in the months to come. Wow. Guess I missed the boat THIS one too. I did show you all the teaser for Rihanna's "Only Girl (In The World)" video earlier this month but that was it. Well here it is. It's a party in the desert (or on Mars...not sure) and not a trashy Ke$ha desert party. This is a classy desert party, complete with flowers, balloons, fireworks, swings, trampolines, weird dress-lights hanging from trees. Sounds like a party I definitely want to at, especially if this song is playing. This song is VERY dance move-worthy. If I were a fist pumping guy, I would definitely start fist pumping when this songs comes on. LOVE. The video, which features Rihanna and NO ONE else was directed by Anthony Mandler. "Only Girl (In The World)" was produced by Stargate and Sandy Vee and is out now on iTunes in the U.S. The track peaked at #3 on the Billboard Hot 100 and has yet to chart in the UK, despite being released on October 25th. I'm a little bit surprised, actually, that the song didn't do better in Britain. (OK so I'm an idiot. It's Sunday and the UK charts had yet to be released. The song debuted at #2 on the charts. That's more like it!). "Only Girl (In The World)" went #1 in Australia, Austria, Belgium, Canada, France, New Zealand, and Norway. Club remixes come to us from Bimbo Jones, Rosabel, Mixin Mark & Tony Svejda and CCW, leading to a #9 peak on the Billboard Hot Dance Club Play chart. The second single released from her forthcoming fifth studio album, Loud (November 10), has been announced as "What's My Name," featuring Canadian rapper Drake. The single impacted U.S. radio on October 26th and is officially available to download in Australia. It'll be out for download in the States on November 1st. In the meantime, check out my buddy The Prophet's blog to see Ri Ri perform her two singles last night on Saturday Night Live. Just a warning...the performances are a bit rough. Katie Melua is BACK on track, promoting her AMAZING fourth studio album The House and releasing a third single, "To Kill You With A Kiss." Now...I'm not 100% sure what this song is. There isn't a song on the official tracklisting called "To Kill You With A Kiss." Now, there is a Guy Chambers/Katie Melua penned track called "I'd Love To Kill You" which features the lyric "I'd love to kill you with a kiss." If THAT's the song we're talking about then YES. I'm excited. It calls to mind a lot of the Mike Batt-produced material from her previous three records in that it's a bit dreamy. Seeing that it's a William Orbit production, the song is one of the least William Orbit-sounding productions on the album and I don't think that's a bad thing at all. It's got a haunting melody and beautiful lyrics. It's really a quintessential Katie Melua piece and a great one to come back with, seeing that her last single came out in July. Whatever the case may be with the song title, I'm just happy to see Katie back with a new single. Not only has she been absent from the airwaves, Melua had to postpone her tour due to exhaustion. Poor thing! She's since rescheduled her European tour dates, which you can find on her official site. Hopefully some U.S. dates are in the works as well, as I'd LOVE to see her again. "I'd Love To Kill You" was produced by William Orbit like the rest of her album and is one of my favorite Katie Melua albums to date. The new single is due out November 29th via Dramatico. I would assume that we'll get some remixes, as we did with "The Flood" and "A Happy Place." Check out the fantastic cover art above. Katie looks ABSOLUTELY gorgeous. I haven't been THIS excited for a film soundtrack since Glitter back in September of 2001. OK. That's DEFINITELY an exaggeration but I have to say...I'm pretty excited for this one. Hello!? Cher + Christina Aguilera on one soundtrack? AMAZINGNESS. While there doesn't appear to be any duets on the album the 10-tracks seem to give both stars a chance to shine. 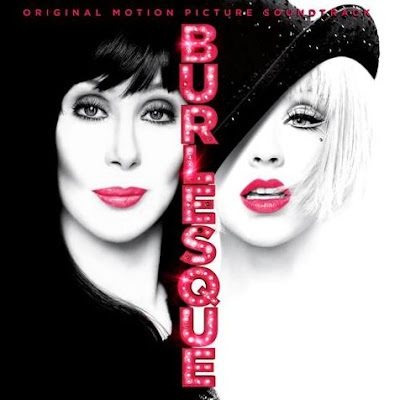 On November 22nd, RCA Records is set to release Burlesque, the soundtrack to the film starring Cher and Christina. Not only does Aguilera star in the film but she also co-wrote many of the songs featured on the soundtrack. The album reads more like a slick pop production rather than a film soundtrack, featuring production from Tricky Stewart, Linda Perry and Ron Fair and additional songwriting by Claude Kelly, Tricky Stewart and Sia. Cher will be singing two brand new tracks including the Diane Warren-penned ballad "You Haven't Seen The Last of Me," produced by Matt Serletic. This will be Cher's first new music in seven years so it's kind of a BIG DEAL! In addition to the original tracks the album includes a string of covers of classics like "Something's Got A Hold On Me" (Etta James) and "A Guy What Takes His Time" (Mae West). Burlesque the film was written and directed by Steven Antin and produced by Donald De Line. Released by Screen Gems/Sony Pictures, the movie is out November 24th nationwide. Check out the tracklisting below and the album artwork up top. 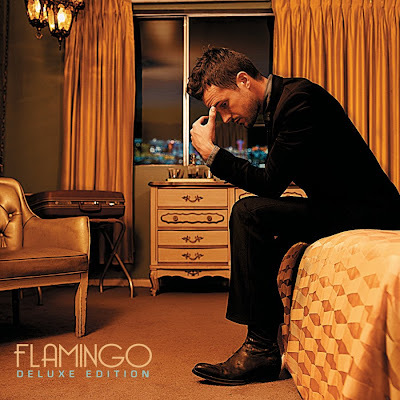 I had really hoped that Brandon Flowers' debut solo effort would have made more of an impact on the charts but that doesn't appear to be the case. Flowers' album had all the makings of a hit record...a sound similar to The Killers. Stuart Price serving as producer. Sounds like a pop masterpiece to me. While the album had a reasonably strong debut at #8 on the Billboard 200 chart and taking the #1 spot on the UK album chart. Debut single, "Crossfire" managed to take the #6 spot on the Billboard Alternative chart and #11 on the Billboard Rock chart, not to mention #8 on the UK Singles chart. Follow up single (which is not "Swallow It," I guess) "Only The Young" was released in the States on October 16th and will be out in the UK on November 29th. The BEAUTIFUL Sophie Muller-directed video was filmed at Le Reve at Wynn Las Vegas. Muller previously directed Flowers' in the video for "Mr. Brightside" alongside of his Killers cohorts. Check out the stunning video below. Well, I guess I can't ever take another vacation from blogging again. Miss a day...miss a lot. 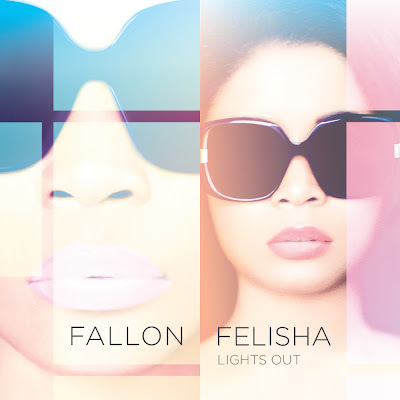 I'm just now discovering this HOT dance single from Fallon and Felisha (AKA F+F), twin sisters better known when they were part of U.S. R&B group Cherish. Newly split from the group, the girls are back and badder than ever in "Lights Out," an up-tempo, real club banger of a track. The high-energy "Lights Out" is all about being young, fun and feeling alive. Starting out as a sister act, Fallon and Felisha joined their older sisters Farrah and Neosha, forming the group Cherish. After releasing a debut album Unappreciated (which went gold), debuting at #4 on the Billboard 200 chart, their hit single "Do It To It" peaked at #12 on the Billboard Hot 100 with the video receiving over 5 million views on YouTube. While subsequent singles failed to do as well the girls' released a second studio album, The Truth in May of 2008. Now, officially split from the group and on their own, Fallon and Felisha are thinking outside of the R&B box which they've been stuck in for the past few years and moving into electro dance territory (a la Wynter Gordon) A very wise move, if you ask me. Check out their debut single "Lights Out" below and download it now on iTunes if you like what you hear. "Who the f**k is Christian TV?" A very good question and a clever SUBJECT LINE for a press release. Of course I'm going to investigate. Now...while I may be asking this question a few months too late, there's no time like the present, right? 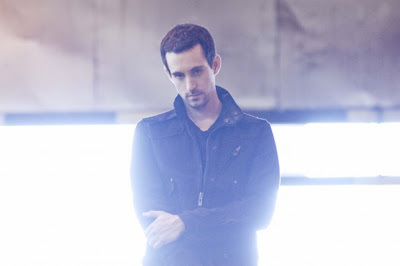 Christian TV (AKA Christian Berishaj) is part of a band signed by Atlantic Records, called Love Arcade. The five-member band got it's start in Michigan and ultimately signed to Atlantic, whereunder they released their debut album in the summer of 2006. While songs surfaced from the band's sophomore effort, an album was never released. Now...Mr. Christian has gone solo and from the sounds of it, that was a good decision. While I'm not familiar with Love Arcade, I am LOVING "When She Turns 18," the debut solo single from Christian TV. To me it sounds fresh, fun and radio friendly...a future electro-rock smash in line with Mike Posner, Ed Drewett and other similar artists out right now. Now signed to Universal Motown in the States and Mercury Records in the UK, Christian TV prepares to release his solo debut. Working with the likes of Benny Benassi, Quinn Allman (guitarist with The Used) and Luke Walker (The Deftones, Tyga, Leighton Meester), the album is called Mr. Berishaj's Diary of an 80s Baby and should be out late 2010 or early 2011. At only 24 years old, Christian TV wears a lot of hats - singer, songwriter, producer, remixer. Very impressive indeed! What's more, Christian TV has a fan in Britney Spears, who tweeted a link proclaiming her love for the (original) video. U.S. iTunes fan can download his EP for "When She Turns 18" featuring a remix by LA Riots (listen HERE). Christian TV recently supported Pete Wentz's new outfit Black Cards in the UK. I expect to hear lots more from this talented guy in the months to come. When She Turns 18 - Christian TV from Christian TV on Vimeo. It looks like we're ONE STEP closer to a new Fefe Dobson album...FINALLY! Dobson's third album...err...second album to see the light of day...Joy, will be released in Canada on November 22nd and on November 30th in the States via 21 Music, a division of Island Records. "Stuttering" is the infectious new single from the Canadian singer/songwriter who hasn't sounded THIS pop since...well...since her last single, the Kevin Rudolf-produced "Ghost." But before that, it seemed as if Dobson was going in a less pop, more rock direction but with "Stuttering," all of my concerns are obliterated. Dobson's debut album had an obvious ROCK edge. Then came the brilliance that was "Don't Go (Girls and Boys)"...a fun little dance/pop number that was completely different than anything Dobson had released previously. Then came the singles from the never released Sunday Love and it was back to that ROCK sound. Now we have Joy. The first two singles...were different...but similar to her old sound. A little bit pop...a little bit rock. Don't get me wrong, I do love a good shouty rock & roll number like "Watch Me Move" but once "Ghost" came out I was smitten with Fefe Dobson, electro pop diva. While "Stuttering" isn't electro pop by any means, it's something different for the 25 year old. Dobson can really wail and she does in her new single. It sounds like something Rihanna or Shontelle might put out right now. A little bit of pop mixed with a little bit of R&B. How contemporary of Ms. Dobson! Now that she's back on Island Records (after being dropped and then picked back up), here's hoping she gets the promotion she deserves. The video starts out like your typical "jealous ex" video with Dobson hanging around a sleazy motel, waiting to confront her cheating boyfriend. But OH NO. This time...there's a twist. I won't give it away but you can check it out below. "Stuttering" is out now on U.S. iTunes. Get it. Also make sure that you check out Dobson on the CW series Hellcats, November 10th, performing as herself.